How does it feel when you have to leave your work for maternity leave?It feels good right.Life becomes so busy with growing family. Your own dreams and life takes a back seat.Kids and family becomes important.You enjoy this for some time.And then your creative self start feeling bored.You want to do something.Now you want your enthusiasm back. Now is the time to think about your passions and dreams.The dreams which got buried under the dust of day to day life.Think about what you always wanted to do.Now is the time to do.If you want to return to work.Just do it.If you want to start something at home,just do it.It becomes easy after you have taken the first step.Making a decision and taking a plunge is the hardest part. Equip your self with right mindset.Schedule your work according to the way you want. Earlier it was you and your partner.Now you have responsibilities for your little one also.You need more time to do tasks.But we all have those 24 hours.I can tell this from my experience.I work part time.Have a one year old baby .I always say that I need 48 hours in a day to accomplish things.That is not possible. 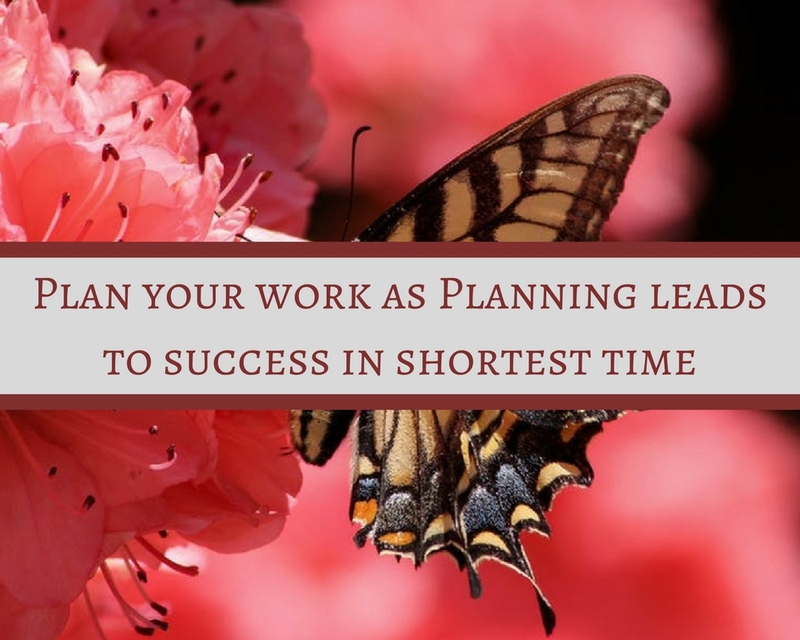 Now I have to either skip some of the tasks or speed myself to do that in half the time.Things are bit easy with planning.I note down everything on paper.Assign time to the tasks .Keep the list in front of me.Otherwise I forget everything. You can do the same.Try to accomplish one task first and start second afterwards.Sometimes you would feel how hard you plan,your schedule get disturbed.Its all right.It happens.We are after all humans. If you feel it will not be possible to start scheduling right away now,start with few hours.This helps a lot.I remember when I was told once to start fasting.It was to reduce carbos in the diet.I could not stay away from carbos even for one meal.The doctor advised me to have at east one day on veges and fruits. It was difficult for me.He said start with few hours without grains. Skip at-least one meal. Or skip it for few hours.Few hours was easy.It just clicked in my mind. Now whenever I feel something which is bit difficult for me, I start with few hours. 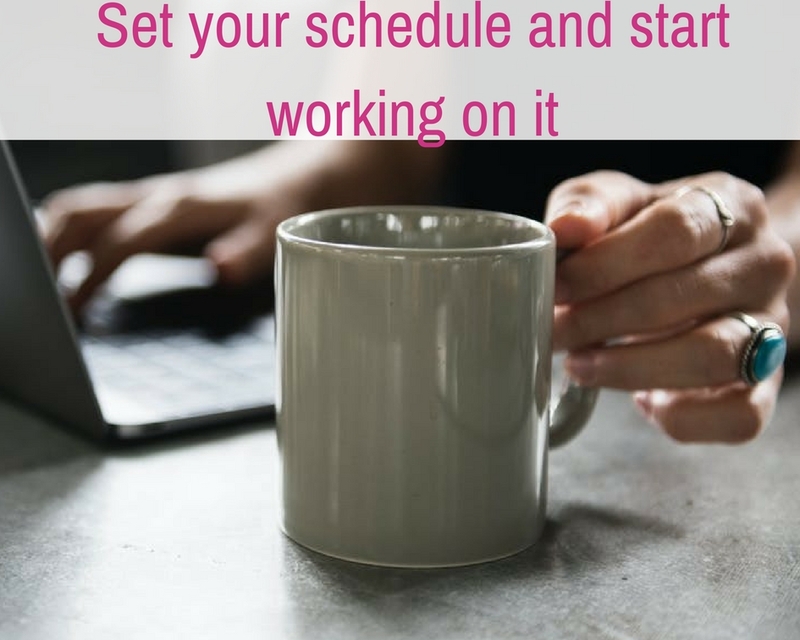 Start with planning for few hours.You will see the difference.Your life would be much more organized and easy.But don’t be too strict for your planned work.Sometimes it becomes too difficult to keep things organized.If your planning doesn’t work sometimes, just sit and enjoy your coffee.Even then you did a great job. 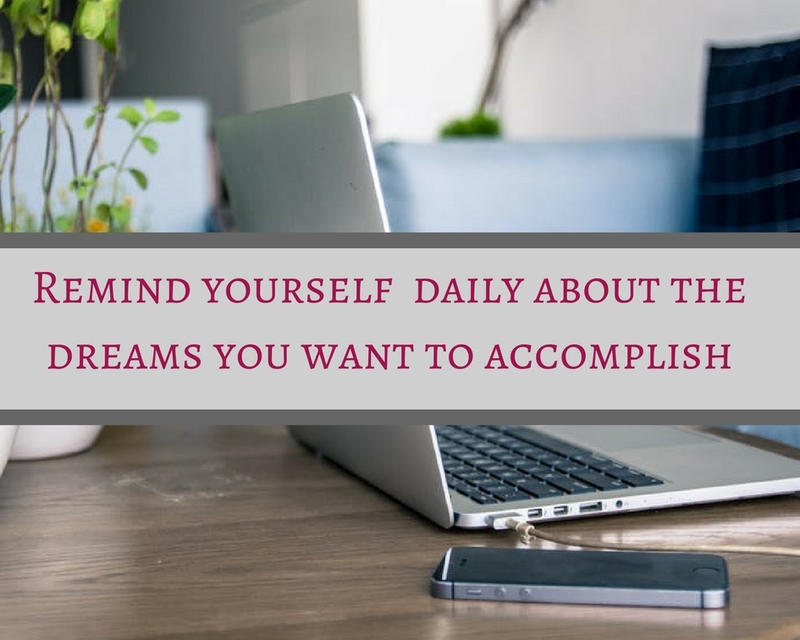 Remind your self about your dreams and goals.It should be a beautiful feeling.Start collecting all the knowledge required to achieve the dream.Google is a good friend.When you remind yourself again and again,it becomes embedded in your subconscious. From there starts the journey of your success. Remember how advertisements work.With the same principal of attacking the subconscious.They show us same add of few minutes again and again.We remember the advertisements even if we don’t pay attention to. This is the post important part to accomplish anything.If we see a task as a whole,it seems daunting.But becomes easy if broken into smaller parts.After having baby it is difficult to concentrate on work.Because your baby requires you 24 hours.You have to squeeze the time in between.If you see your passion or dream as a whole entity, it feels impossible. Break it into smaller parts ans accomplish it in given time.Start with small steps.One at a time.It is better to start small than doing nothing.Feel good about whatever you accomplish.Don’t feel stressed at all.You have got lot to do. But remember you have got only one life .This day will never come again.So enjoy the day while working. Start with small walk or any light exercise.It will gradually helps you in shedding that extra weight.Few minutes of light exercise will help you in energizing your body and mind.But please don’t stress too much about weight at this point.Be gentle with your body. Meditate for few minutes(If the baby allows). It will help you in dealing with everything related to your motherhood as well as your dream or work.Strong mind can handle stress more efficiently. 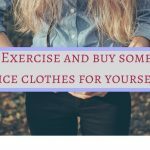 This one is also necessary.As new mother you don’t pay attention to your clothes.Because you don’t have time for your self.It is nice to buy some clothes for your self .Dress like you are going out for some work.Even if for few hours.See yourself in mirror after dressing.You will feel good. When you dress like a working woman, you feel urgency to accomplish work even at home.This allows you to get ready for your lot busier future. Enjoy your days with your little one.Kids grow fast. Write down your dreams on paper. Break them into smaller tangible goals. Dress like you are a working woman even at home. 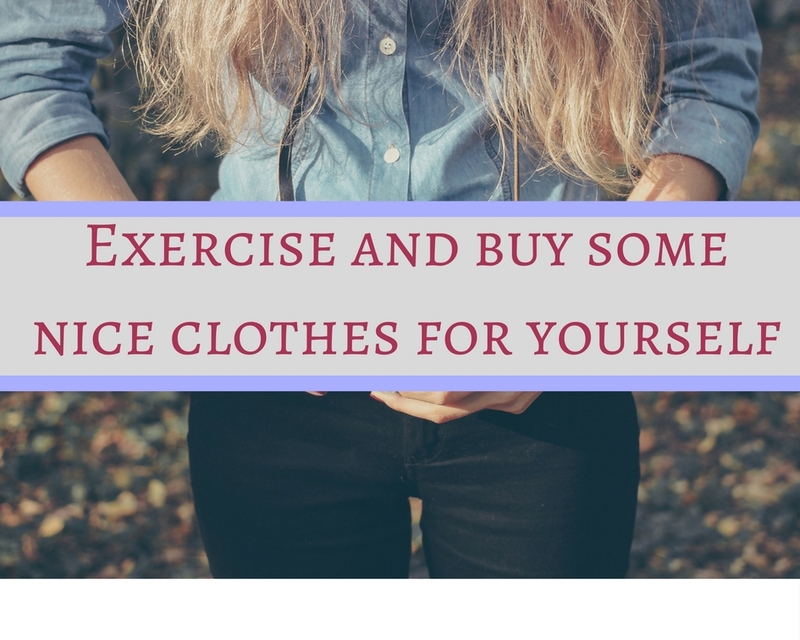 Start exercising to make yourself active. Take the first step and start working on what you want. Good luck for new moms to be on the path of success.Take the first step towards your dreams.Dont let that heavy feeling of doing nothing make you sad.Yes YOU CAN DO THIS.You have already won a big battle of bringing a life into world.